Are you interested in monitoring the weather whilst outdoors? Maybe you’re always wondering how accurate the weather forecasts really are! 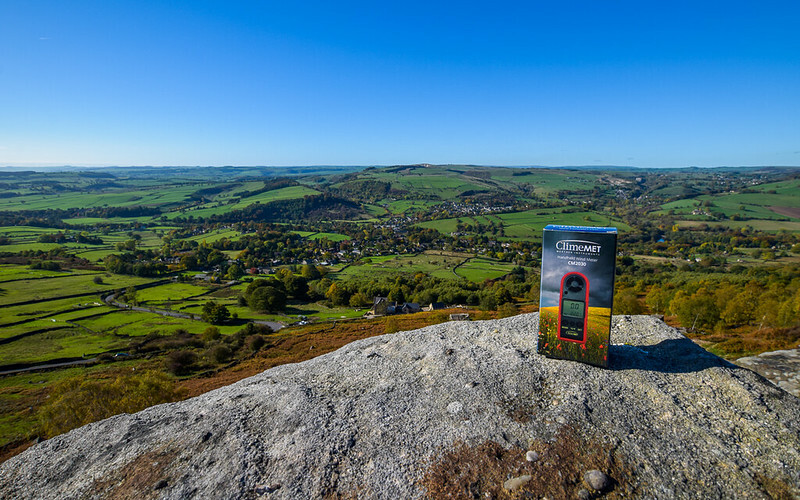 I was asked to trial the ClimeMET Handheld Wind Speed Meter whilst on my hikes in the UK. I love gadgets so I was interested in how it would work! One thing I’m always interested in when I go hiking is how cold it is which is great because this handy Wind Speed Meter also has a thermometer too! Read what I think about the ClimeMET Handheld Wind Meter. Maybe it’s the perfect gift for a friend or family member who loves the outdoors! Enter my Instagram Giveaway to win a FREE Handheld WindMeter and Case. Competition closes at midnight on 21st December 2019. 2.2 What is included with the Wind Meter? 2.3 Who would use the Wind Meter? 2.4 How easy is the Wind Meter to set up? 2.5 What scale does it measure? 2.6 Is the Wind Meter Waterproof + Shockproof? 2.7 How much does the Wind Meter cost? 2.8 What are my thoughts on the ClimeMET? What is included with the Wind Meter? You can also purchase an additional material cover, with padding inside and a velcro fastener. Who would use the Wind Meter? Weather can be deceiving, the Wind Meter showed 20 mph winds at the top! 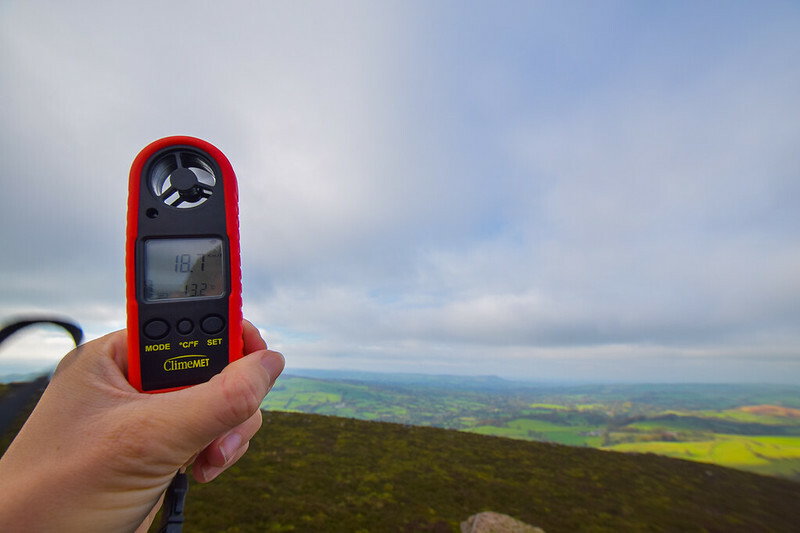 The Wind Meter is great for anyone that loves weather as a hobby or alternatively the numerous outdoor sports that can be weather dependent. 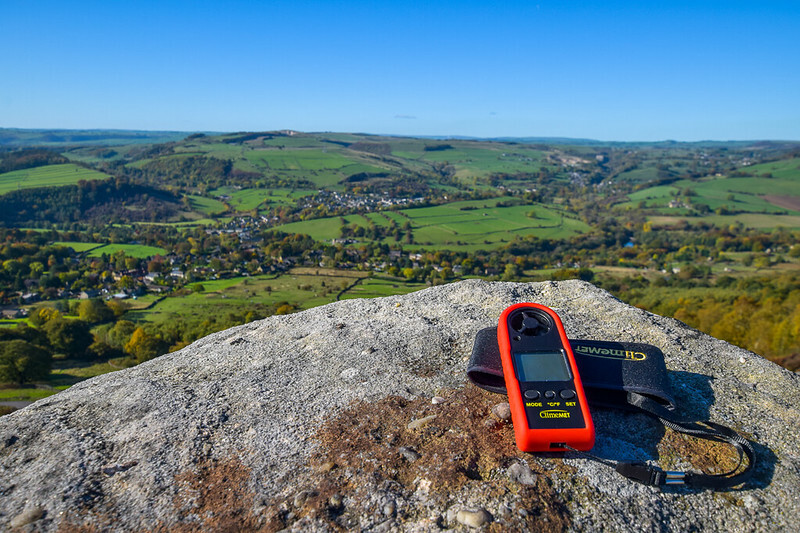 I was invited to trial the Handheld Wind Meter on my hiking adventures in the UK. I’ve used it on a few hikes in the Peak District and Lake District and love how lightweight it is and easy to use. As a regular hiker, there are plenty more places that it would be perfect for but I wanted to share my thoughts on it so far. The Wind Meter is not only perfect for adults but also young children and teenagers too. It would be great for participants completing the DofE Award (Duke of Edinburgh) or it would also be great for children wanting to learn more about the weather and again since it’s super lightweight they can easily carry and use it! How easy is the Wind Meter to set up? My Wind Meter arrived quickly, however, for some reason the first one I received didn’t work. I immediately contacted ClimeMET and they posted a second model out to me, with their apologies. The second one worked perfectly. The battery comes separately, you simply either use your thumbs or a screwdriver to open the battery compartment and pop the battery in. The device lights show up briefly, then you press the MODE button to turn the Wind Meter on. 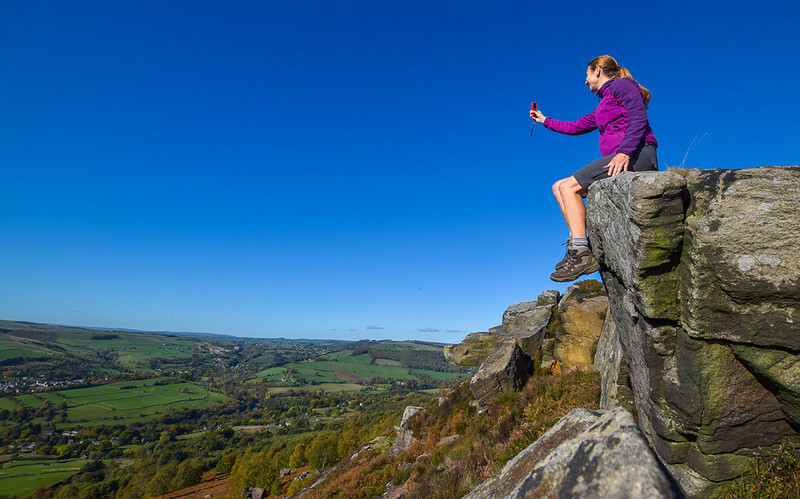 Pictured above is my first hike trying out the Wind Meter in the Peak District, ironically I picked a day where there was zero wind, haha so many followers on my Insta Story were messaging saying it was broken and to blow on it! By blowing on it, you are basically just recording the power of your own breath! What scale does it measure? The Wind Meter has options for both degrees Celcius or degrees Fahrenheit, you can simply press the C/F degrees button to switch between the two options. Whilst hiking I opted for the km/h and mph as they are the scales that I’m most family with. Is the Wind Meter Waterproof + Shockproof? I’ve been lucky enough not to experience any rain whilst I’ve been hiking so I’ve not been able to give the Wind Meter a full test in wet weather. The sensor is water resistant so it’s fine in the rain but possibly won’t work as well if you drop it in a lake! 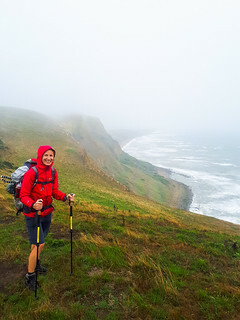 But I will keep an eye on the weather and will make sure I give it a proper test on the next rainy day I hike. Although I’m hoping it won’t be too soon! The Wind Meter comes with a red rubber cover around the outside. This is more to protect it from bangs and scratches against rocks. I wouldn’t recommend dropping it from a great height! How much does the Wind Meter cost? The Wind Meter costs £32.50. If you wish to purchase the additional cover, that costs £9.50. What are my thoughts on the ClimeMET? I’ve enjoyed trying out the ClimeMET Wind Meter. Because it’s so lightweight it’s an easy item to pop in my hiking rucksack on my adventures. If I’m honest it’s not something I would take on every hike but as the weather is changing in the UK, it’s certainly something that would be very useful on mountain hikes and ridge walks. 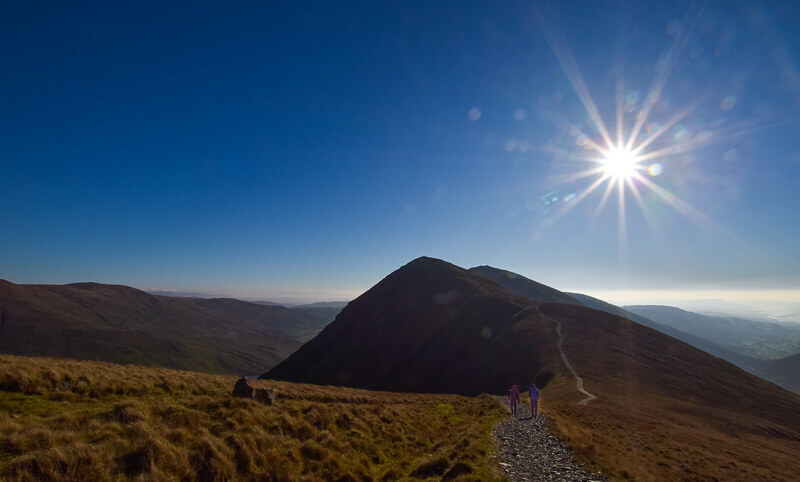 For example, the scary Striding Edge in the Lake District or Crib Goch in Snowdonia. 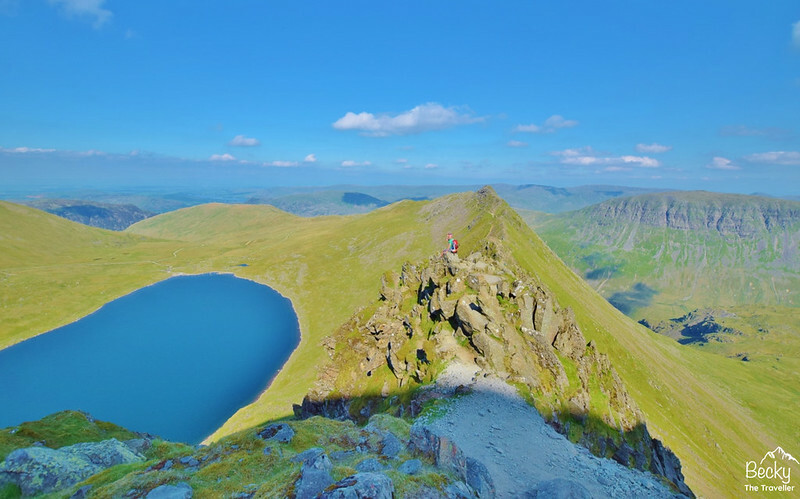 I’ve done both of these hikes, Striding Edge on a lovely summer day and Crib Goch on a not so lovely summer day! On the Welsh 3000s Challenge, I hiked along Crib Goch in windy conditions, the group in front of us opted not to hike across as they felt it was too windy so the ClimeMET Wind Meter would have been a very handy tool to have with me (and them). The Carry Pouch is handy to keep it in but with the red rubber case, I don’t feel it’s an essential item. I would have loved it to have a belt loop so I could attach the case to my hiking trousers or to my bag to make it easier to use whilst hiking. If the design is modified then I’d say it’s worth it so it’s easily accessible. The lanyard is handy to pop round your wrist. Just in case it’s really windy or if you have lots of other things in your hands! For outdoor lovers, this mini-gadget would make a lovely gift as it’s perfect for many different outdoor sports and adventures. What are your thoughts on the ClimeMET Handheld Wind Meter? Do you have any questions about it? Ask me in the comments below. *Becky the Traveller contains some affiliate links. If you make a purchase through these links, I earn a small commission at no extra cost to you. Thanks for reading!